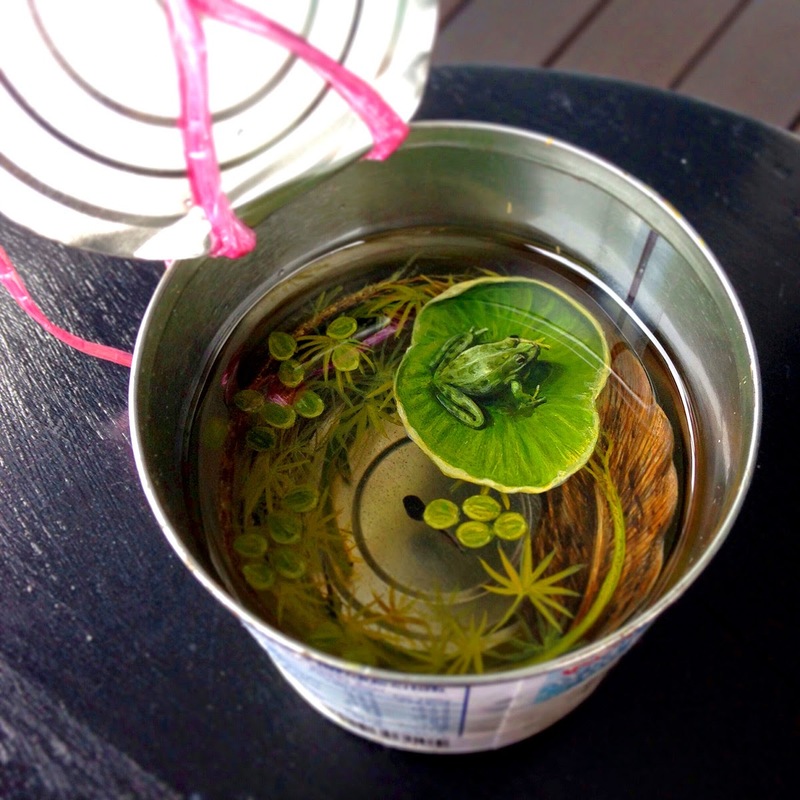 for those of you who are keeping fish or other aquatic animal to relieve stress, but did not have enough time and do not bother to take care of them, maybe you could look at this Keng Lye artwork. Keng Lye, a Singapore talented artist create a series of 3D paintings which he gave the tittle " Alive Without Breath" . 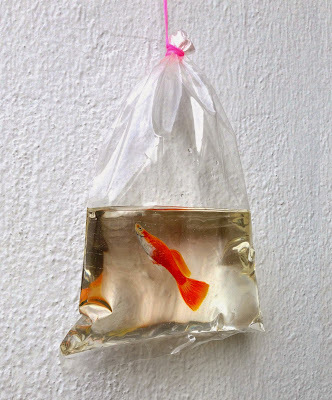 this tittle is in accordance with the work that appears bleak lives, but they did not breathe. 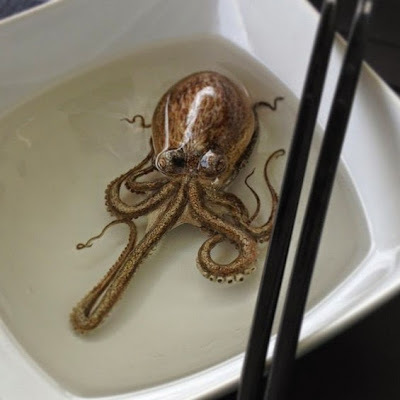 ranging from a turtle in a bowl, frog in a iron bucket, octopus in a bucket and the gold fish in plastic look so real and alive. 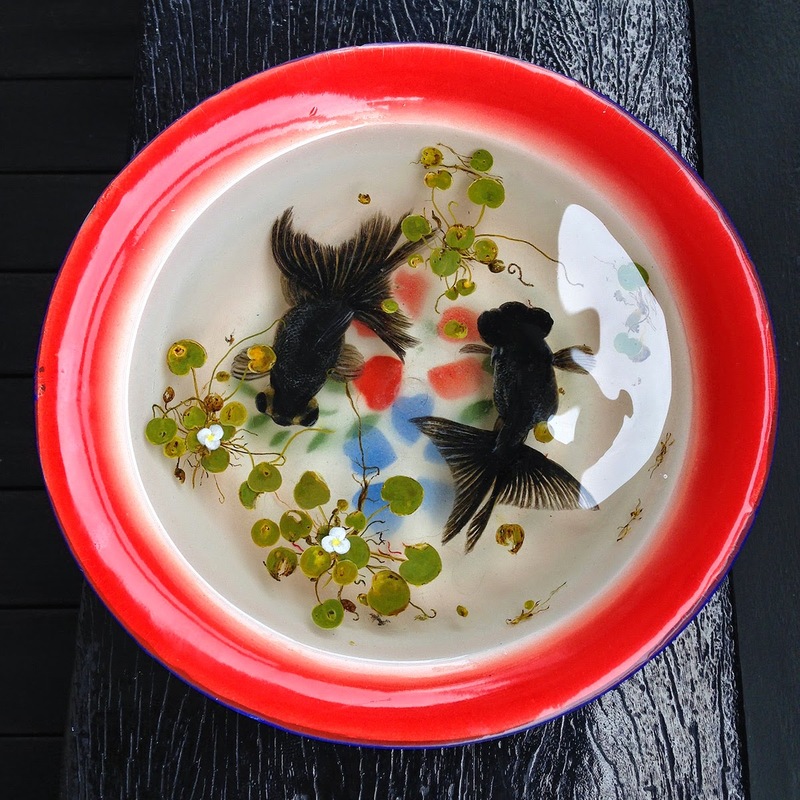 Keng Lye is very popular today because of his awesome painting, which he painted with alternating layer of acrylic paint and resin. 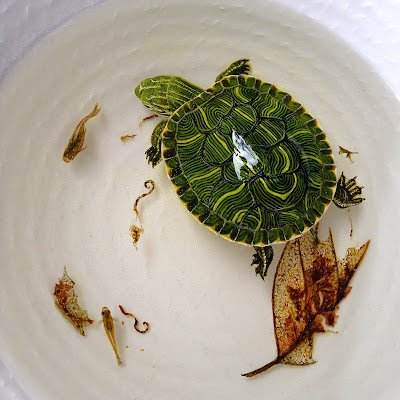 he uses a techniques very similar to Japanese painter Riusuke Fukahori, though Keng Lye seems to take thing a step further by making his paint creation protude from surface adding another level of dimension to a remarkable medium.